Raise your hand if you grill all year round? You can’t see me, but my hand is raised. Speaking of which, the saying as always been, “Raise your hand,” but if you think about it, you are raising your entire arm more than just your hand. 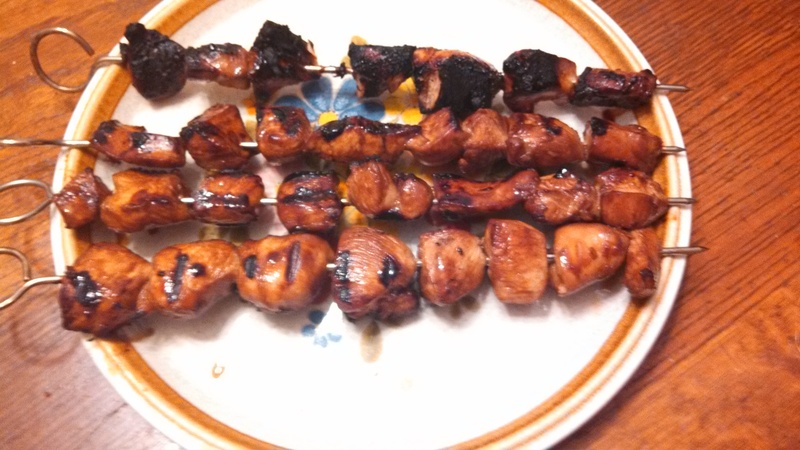 That aside, I made grilled Chinese chicken kabobs by Six Sisters’ Stuff a few nights ago. The key to getting it so amazingly juicy and tender is to marinade it as long as possible. 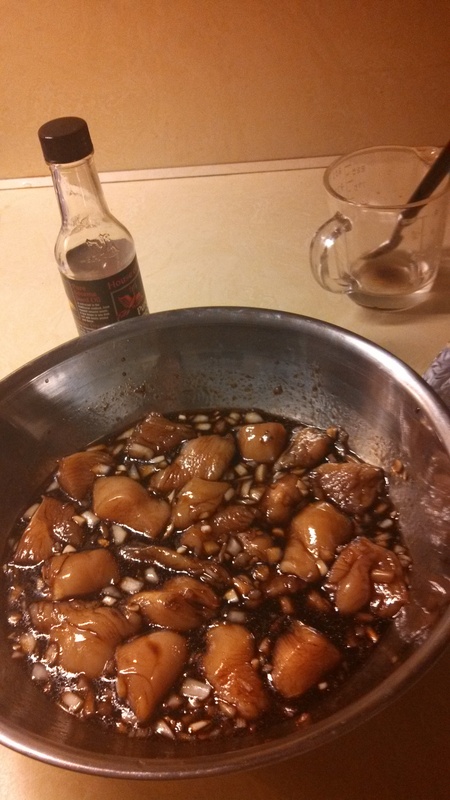 The original recipe recommends marinating it for 2-8 hours, but I always like to marinate meat for 24 hours. Granted, that’s not always possible, but it definitely yields the best results. By the time I pulled the chicken out of the fridge when I was getting ready to cook, it was darkened so much by the marinade that it didn’t even look like chicken anymore! Perfect. Note: One of the skewers of chicken got a bit more crispy than the rest…I think they might have just been smaller pieces, therefore cooked faster, or closer to the heat than the other skewers, which would also make them cook faster. In any case, it was no less delicious than the other ones! 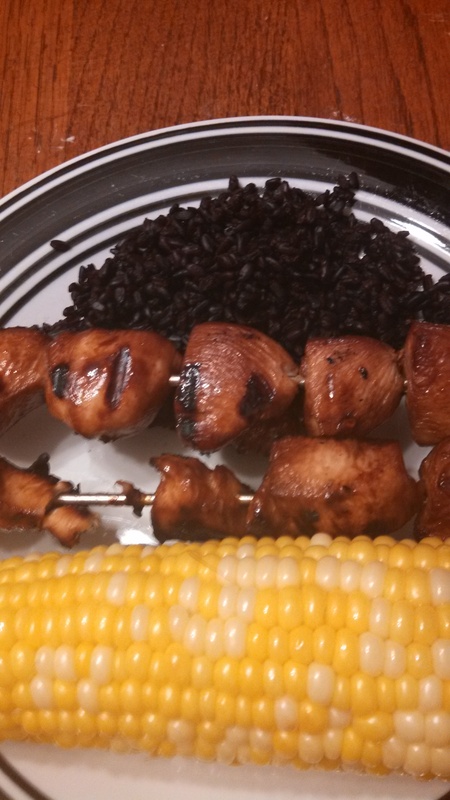 Also, as you can see, I served this with grilled corn on the cob and black rice, for side dishes. 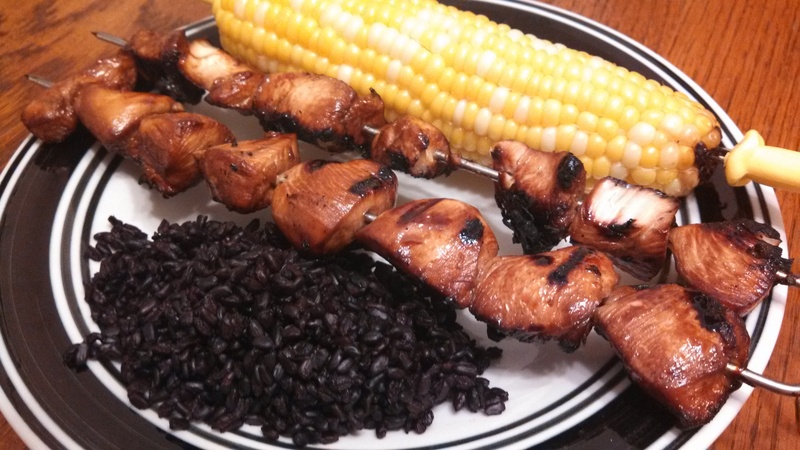 If you’re curious about black rice, click the “Garlicky Chicken and Broccoli” link below – it has all the information you need on how to cook it and the health benefits! -Mix everything except the chicken together in a large Ziploc bag (or in a large bowl). Set chicken in, and stir/shake to fully coat each piece. Cover and refrigerate for up to 24 hours. -Remove chicken from fridge and thread onto skewers (if using wooden skewers, soak them in water for 30 minutes to prevent burning). Discard marinade. 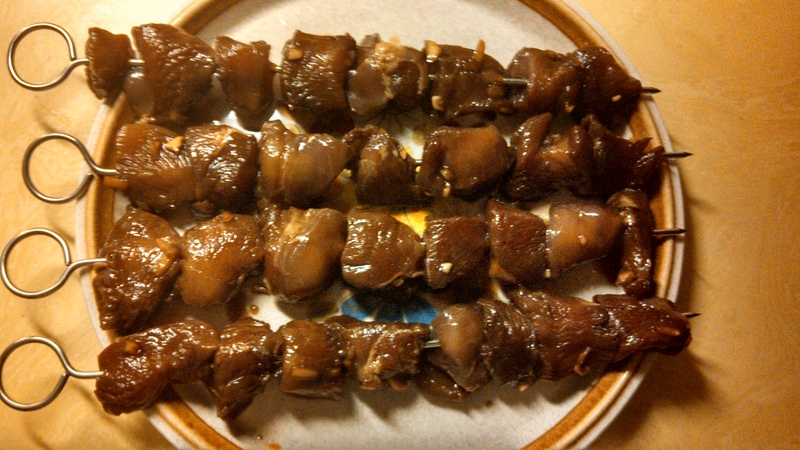 -Place kabobs on a grill over medium-high heat. Cook until chicken is no longer pink and has an internal temperature of 165 degrees (about 10 minutes total, turning chicken once).